Costs less and outperforms competitors. Sleek design with advanced cleaning features. This item will arrive on the next business day for orders placed by 4 pm local time with the exceptions of 2 pm for the Florida, 2:30 pm for the Texas and 3 pm for the Tennessee warehouses. 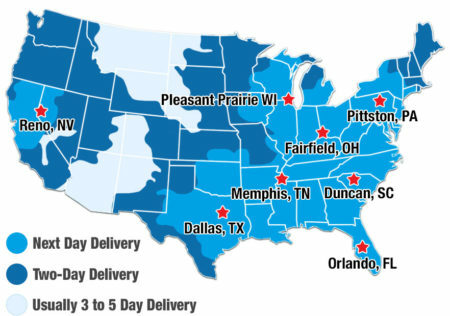 Your item will be shipped Fedex Ground from the warehouse closest to you resulting in delivery on the next business day. Orders must be placed by 4 pm local time for Next Day Delivery. For customers serviced by our Florida, Texas, and Tennessee warehouses, orders must be placed by 2 pm for the Florida warehouse, 2:30 pm for the Texas warehouse and 3 pm for the Tennessee warehouse. Residential deliveries are made only Monday through Saturday though Saturday delivery is not guaranteed. Your current location is outside the Next Day Delivery area. This item ships UPS Ground and usually arrives in 2 to 3 business days. The Jet Drive AG Cleaner is perfect for cleaning your above ground or soft sided pool floor. It efficiently moves around your pool and you don't even have to break a sweat! Aquabot created this device with you in mind. It has better tread and traction than ever before. This cleaner also has a high suction mechanism to collect the most debris (large and small) that it possibly can along the floor of the pool. You can set the timer to one or two hour cleaning cycles as you sit back and enjoy some fresh lemonade. Ships approximately five days after order. Our Pool Pros put our products to the test so you know which products give you outstanding results and value. 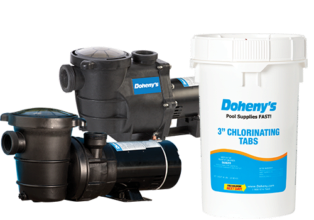 Tested, tried and true for high quality construction, ease of use, efficiency and reliability - shop this Dohenys Pool Pro Pick with confidence and SAVE!